Please also see our other website www.whangarei.harcourts.co.nz for more details. 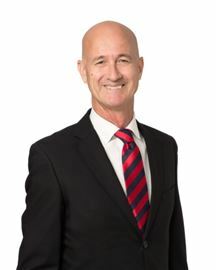 Mike has had an extensive career in Sales and Marketing for over 30 years and through this experience especially in the property market he is well placed to assist you with all your Real Estate requirements. 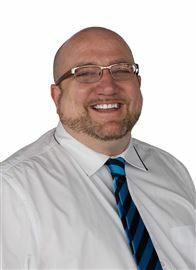 Mike is passionate about Real Estate and alongside wife Debbie started Optimize Realty on April 1st 2008, having gained Associate Status in 2007. They have built the business to where it is today on a solid foundation of Customer Service combined with defined business strategies. Professional, thorough and believing in the good old fashioned values of honesty, loyalty and putting people first, Mike and Debbie work hard to build strong relationships with Clients and to achieve the right results for them. Outside of work Mike loves to follow his race horses and with Debbie spending time on their lifestyle property, heading to the beach, travel and supporting their two adult children. Real estate is my passion! I believe 100% in the product and how it makes a difference in people’s lives. My personal motto is “empowering people through property’ and I have spent over 30 years helping people through property. My background was in counseling and as a Medical Social Worker with Waikato Hospital I covered Accident and Emergency on a 24/7 basis. Real Estate feels like another version of that job. Helping people through some pretty big decisions in their life. During my time in real estate I have owned and managed companies, been the Northland District Real Estate President and served on several boards, but at the end of the day my greatest pleasure is in selling homes and dealing with the people who own them. In 2010 I sold all my company interests, and concentrated on the best of Real Estate which is back at the coal face. I have experience in commercial real estate and do keep my hand in with the odd building sale. I bring a combination of management experience and people skills with me and I pride myself on getting the best price for an owner by using thirty years of real estate selling combined with business management and people skills. 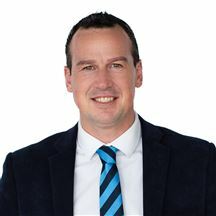 A born and bred Whangarei local Ben has a well-rounded knowledge of the wider community and a genuine interest in Real Estate. With over 9 years of trade experience including time in the building and house painting industry (some of which was in Christchurch following the earthquake) Ben has a keen eye for detail and its potential to bring value to your home. Ben continues to build his knowledge and experience within the industry and is not afraid of hard work. Supported by the team here at Harcourts Whangarei alongside family and fellow team member Susie Purton, one of Harcourts veteran and award winning Real Estate Salespeople. Outside of work Ben enjoys all the typical Kiwi past times including playing for, and sponsoring the Hikurangi Premier Rugby Team as well coaching at junior level. Aside from the competitive nature of Rugby, Ben will also be found relaxing on the water fishing with friends and family. Des is specialising in rural and lifestyle properties. 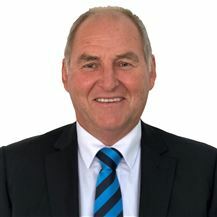 Most of you will already know Des, a born and bred Northlander who has owned farms and properties from Kaitaia to the King Country. He resides in Kamo with his wife Heather, is active in the community in boating and fshing circles, is a past commodore of the Bay Of Islands Yacht Club and now a current committee member. More recently he has been active in the Stockfeed and Poultry Industries, as a Farm and Feed Advisor. This is a change of direction for Des to bring his wide knowledge of the rural sector to our team. You can contact Des for any rural appraisals, or marketing of properties whether it be buying or selling. Hi! I´m Diane and I love matching humans with houses. I am more than just your normal real estate agent. I am a down to earth, honest, people-person who loves working with people who are selling their home, or looking to buy that first home, last home or dream home. I have been with Harcourts Whangarei 12 months, which has been a positive addition to a long career in real estate. Relationships are formed throughout important times in your life and selling or buying a home is no exception. Each client, for the duration of my time with them, is effectively my employer. I take this on board and work hard to get the best possible result for my client - giving them a good dose of my tireless energy. I am results-driven and very goal orientated. These strengths flow through me and into my work. Here at Harcourts, we are all team players. You get my experience, combined with that of everyone else´s here to ensure you are getting only the best. On top of that, you get my background in sales, my passion for real estate; and my ability to listen to you and your goals, and turn that into reality. When I am not working, I love to relax with my four adult children and my grandson. I love to get out and cycle around the great landscapes we have here in Northland, and I recently completed 80kms around Lake Taupo, which was a great achievement. Make your dream a goal, and let’s achieve it together. I have lived and worked in Whangarei for the past 31 years and now consider myself a Northlander after living in various parts of New Zealand (including a stint in the Chatham Islands) since growing up in rural Waikato. With a teaching and small business background I have always enjoyed helping people and have a genuine desire to continue this through into my Real Estate career. Since my qualification in January 1997, I have achieved consistent high results in Real Estate. Having worked for the Professionals franchise for 15 years I am looking forward to having continuing success with the now expanded Harcourts Whangarei team. This success has been achieved with the strong partnership of my husband Lawrence who is also a qualified Real Estate salesperson as well as owner of the company Skyworks Northland - specialising in aerial photography and digital imaging. As a team we are proud to be considered fair, hard working and professional in our approach to Real Estate. We will continue to ensure that the selling or buying of your property will be a pleasant experience and that my experience, skills and honesty will work towards achieving the best result for you. Offering a 20 year career in sales, marketing and customer service, Elke is committed to providing a personal friendly client experience. With a passion for property and the real estate industry Elke prides herself on treating everyone she meets as equal. On a personal note, Elke has a wonderful 11 year old daughter named Kaitlyn and keeps busy with work, school, family time, having fun and enjoying life. She was newly married in February 2016 to her wonderful husband who is a decorator/painter, and they're both keeping busy renovating their home. She has the ability to engage in any situation and always focuses on the positives in life. So if you are looking to sell your property, or purchase a new home, give her a call, as she loves nothing more than to help. Emma provides a sincere approach to real estate; she not only has a passion for real estate but a passion for people. 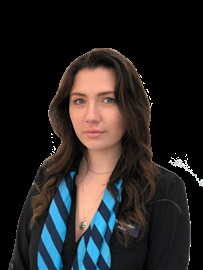 Having grown up in Whangarei Emma is very much a local and has a sound knowledge of the area. Emma comes from a family background within the building and real estate industry so has been involved in real estate her whole life. A surname associated with success in Real Estate industry includes a respected reputation so you know you are in good hands. Here at Harcourt’s Emma is backed by a successful team and is proud to also provide knowledge, experience and expertise from the most trusted brand in Real Estate for 6 consecutive years. Emma is not afraid of hard work and thrives in under pressure situations; she takes pride in achieving quality results for her clients. When you work with Emma you will receive down to earth, honest communication, effective listening and satisfaction. In her down time you can find Emma enjoying a glass of bubbly on the waterfront or taking her pup to the dog park or for a walk around the Hatea loop. A real born and bred Whangarei local, I bring to the industry the extensive knowledge of the town I grew up in and why Whangarei is such a great place to live in. I'm committed to putting my clients at ease and believe in honesty and dedication to assist you into your new property. With a background in owning my own business Pegasus Rental Cars and a rural butchery business I believe this gives me the extra edge in customer service for both rural and urban clients. I have also had a lot of personal experience with farming life, subdivisions, lifestyle blocks and dealings with surveyors and contractors. So, I bring a lot of practical knowledge with me as well. As part of my comprehensive service I am more than happy to offer you a no obligation market appraisal and discuss marketing and commission options for you. When you decide to work with me with your real estate needs, you will get more than just me, I'm backed here at Harcourts by a large team of sales people and support staff and some have more than 25 years knowledge and experience in Real Estate so together we can offer you more than just one salesperson. Heather's success as a Real Estate agent can only be described as “Meteoric.” After completing her qualifications in 2015 Heather became Harcourts Rookie of the year in her first year and placed third in the company and then went on to beat all Whangarei agents to be the companies #1 residential salesperson in her second year. Such success is rare in this competitive world and her progress was only slowed when she bought her third child and son (Medina) into the world. Heather's full time return to Real Estate in 2018 continued as she left off, with her creating four sales in her first week back. Most agents would consider 4 sales a month an exceptional achievement. Being a full-time mother of three young children has meant she has to successfully juggle her family responsibilities with her work commitments. Her partner Bruno fully supports her career and together they keep the balance between work and family in proportion. Heather's secret to success has been a combination of her ability to understand and relate to people combined with her natural sales instincts and genuine caring for her clients. Having owned a business in the past she is a great communicator and relates to people from all walks of life. She is a direct and passionate person who keeps things simple and who uses her extensive skills for the benefit of her clients. When it comes to selling your home you deserve the highest standard of service. Jono provides a fresh perspective to real estate that you won’t find anywhere else. Through is charismatic demeanor and unique way of marketing a property Jono changing the way we do real estate. Utilizing platforms such as Facebook & Instagram as part of his unique strategy, Jono is placing you property in front of buyers who need to see it. His service is what sets him apart. Jono makes his clients a priority on all accounts whether when helping prepare the property for sale, by consistent communication, assisting in listing alterations and his after-sale service. From start to finish you can ensure Jono will give you the highest possible customer service. Jono is no stranger to selling, alongside a career in sales, he has run a successful entertainment business for 16+ years. Jono understands the importance of achieving the best possible result, with effective marketing campaign and vibrant positive energy every step of the way, Jono ensures the best overall experience for all his clients. Experience, enthusiasm and service that guarantees you the best result. Performing well in the dynamic industry of Real Estate takes energy, dedication and the determination to succeed. Combining these attributes with integrity, consistently high standards of service and friendly professional advice, my approach is all about what I can do for the people who engage my services. Strongly goal oriented, over my years of success in this industry I´ve built a reputation for honesty, hard work and high standards of professionalism. My satisfaction comes from achieving the outstanding results that ultimately mean happy customers and this is reﬂected by my many returning clients and referrals. I recognise that sometimes the process of buying or selling a property can be frustrating - particularly in today´s market. I do all I can to ease that frustration for you, smoothing the bumps along the way, keeping the process moving and making sure that you are kept informed of market trends and local demand. Open communication is the basis of my business relationship with you and this ensures that your needs are met when developing and implementing your individualised marketing strategy. Having lived in wonderful Northland most of my life I have a great appreciation for our unique lifestyle and my downtime is often spent making the most of the outdoors with my husband Rod and spending time with our son Michael. Specialising in residential, lifestyle and coastal properties gives me the opportunity to proudly showcase the place I call home. Some of the awards I’ve received over my career include: • 14th year of successfully marketing and selling property • High achieving salesperson at Harcourts, Whangarei • Real Estate Salesperson of the Year at Maggie Dixon Real Estate (2010-2011) • Licensed Real Estate Salesperson (REAA 2008) • RE/MAX Gold Club member (this award recognises outstanding achievers) 2006 As your chosen Real Estate Professional I will commit my expertise and energy to work with you in achieving the best possible result for you, in the best possible timeframe. 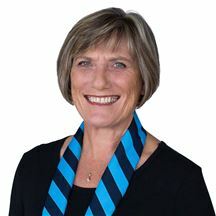 Robyn Watson is a veteran real estate professional with over a decade of experience working with buyers, sellers and investors of Northland Property. She embodies the skill, tenacity, and expertise to provide an exceptional experience to her clients. Robyn is a name at the top of her game having been ranked in the top 10 listers for the past 5 years, in arguably the premiere property and marketing teams of the Whangarei region. During her time within the industry Robyn has received multiple industry and franchise group awards for her elite sales performance. 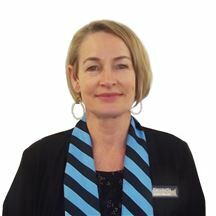 She has consistently seen year over year growth at Harcourts, and distinguished herself as one the top producing agents. Prior to real estate, Robyn worked as a sales professional and multiple business owner across a broad range of industries. 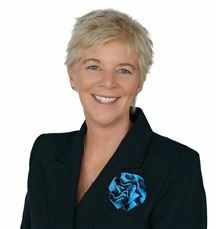 Robyn possess a seasoned knowledge of the Northland property market which has been paramount to her success. Representing both domestic and international clientele, she has achieved outstanding results throughout the area. Robyn’s savvy insight and business acumen make her a strong negotiating presence which provides the results her clients expect. Graced with patience, she truly understands her client’s needs and desires. Robyn enjoys the pursuit of perfection and helping her clients realise their dreams and goals for their home or portfolio asset. When selecting Robyn Watson as your agent, you get a property professional who can truly elevate you real estate experience. Sherry is a proud born and bred Northlander and a well known and trusted local identity with over 20 years of award winning sales, managing and marketing experience within the Whangarei retail sector. Her interests include house rejuvenation, travel, and enjoying the company of family and friends. 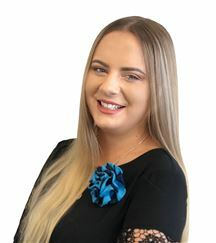 As an extremely effective communicator with strong negotiation skills and a real enthusiasm and flair for maximising opportunities and delivering results for her clients, Sherry is looking forward to continuing to deliver excellent customer service and top results to her clients both old and new in her career with Harcourts. 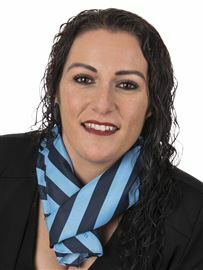 Born and bred in Northland, Shontelle has a great understanding of the "Northern" community and lifestyle that she brings to the real estate market. She's able to work closely with people to get their property sold, focusing on clear communication and working towards client goals when providing exceptional service. Shontelle's passion for property stems from family involvement in the construction and building industry for many years. Her keen interest in renovation and design gives her a unique edge, something that is highly valuable when marketing a property. Previously, Shontelle's career in the hospitality industry led her to live in Queenstown and Sydney, giving her diverse experience and enhancing her ability to work in a people-focussed environment. Away from property, Shontelle enjoys life with her partner, her animals including dog and horse and playing competitive squash. Steve and Miriam as Team Davis are both Property Sales Consultants. They have both spent much of their life in Northland and together with their passion for Property, they teamed up to help others both sell and buy the property of their dreams and needs. 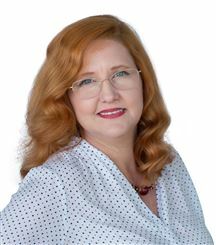 Miriam’s past experience as a private teacher, facilitator, and property manager, has given her a clear business head, an eye for detail, oodles of patience, empathetic communication, and organizational skills. She believes these skills along with her passion for property help to make the experience of both selling and buying property a comfortable journey for her clients. 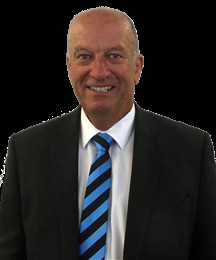 Steve has over 35 years experience in business in Senior Management positions to General Manager. 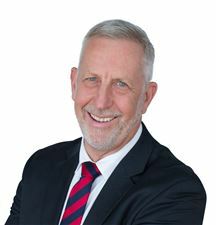 Steve brings all of his business experience, sales, marketing and negotiation to help you achieve the best possible outcomes in both selling and buying your property. Together Miriam and Steve have devoted their skills and time to their passion of helping others to sell their loved property and those who are looking to buy their dream property. What's more we are 'Committed to working for YOU' to bring about the best possible result for YOU. The reason we chose our Brand tag line 'Committed to working for you' is to state up front that we are Property Sales Consultants that are COMMITTED TO WORKING FOR YOU and not ourselves, or worst still the buyer. We know from our own past experience how this is all too common as the Salesperson is really just chasing the commission. This approach will not serve you well and is very unlikely to achieve the best result for YOU. This poor past experience forced us to sell our own properties in the past, but this is not always the best way to sell either. Having the marketing knowhow (even correctly choosing the method of sale is very important to the outcome) and grunt of a great Real Estate Brand and the skill and network of a Good Sales Consultant Negotiating for you should and most often does bring about the best result. Some properties should be Auctioned to get the best result and that requires a skilled Auctioneer to achieve that for you. ‘Team Davis’ are committed to providing exceptional personal service, a high level of professionalism, local knowledge, honesty and integrity, while extending the Harcourts values, of fulfilling people’s needs, dreams and aspirations which is their foundation for your success. “Our commitment to you is to make your journey simple, easy and smooth, while providing a high level of professionalism and friendly service. Listening to you, and understanding your needs, is key to a successful relationship - that way we can create a successful campaign to achieve the best possible result for you in the current market. There is a solution to selling and buying every property, and we would be happy to discuss this with you!” We work with Harcourts Real Estate as our Brand of Choice (VOTED THE MOST TRUSTED BRAND IN REAL ESTATE FOR THE LAST 6 YEARS) in Northland to SELL and to help you BUY the right property. Beginning real estate as a fledgling salesperson in 1994 and progressing qualifications through to a fully licensed agent in 2002 - Valerie brings a wealth of experience and success to every property she markets. With a focus on best service and exceeding client expectations. Valerie utilises her extensive knowledge of the industry along with an in depth knowledge of the Residential housing market and best marketing practice to ensure the best possible result for her clients in an optimum time. Over the past 23 plus years Valerie has successfully sold the full spectrum of residential and lifestyle real estate, having managed several northland offices and owned two real estate business's the most recent being sold in 2016 when Valerie took a back seat in management to focus fully on her clients and customers. When not selling property- Enjoying family time is paramount to Valerie these days and family time is most often happily spent with her young grandchildren and their parents. Having recently hung up the running shoes Valerie often with husband Clint in tow enjoys walking and trekking the many local tracks in the Whangarei district and further afield. Trekking the 120km Inca trail in 2016 was a defining moment for Valerie who now regularly looks for more epic adventures both in and outside New Zealand. With Kilimanjaro on the list for the near future. Born and raised on a dairy farm in the North Wairarapa, I worked 22 years in the Dairy Industry at a senior level, many skills were gained through selling strategies, business concepts, managing change, negotiating and operating a $80.M budget. Negotiation skills required to influence people was a major part of the role and is very transferable to the new career I have chosen real estate. The shift to Whangarei in 1992 gave me a great appreciation of what an amazing part of the country we live in. To sell property in the North is exciting as I love the area especially the Whangarei Heads where I live is just wonderful. Real estate is very much about people and property, the ability to listen and understand the clients requirements, and assist the vendor and purchaser to gain a win/win solution. I have been selling Real estate since 2009, great negotiating skills have been the key to gain sales. I enjoy working with the Whangarei Harcourts team, the Harcourts brand is the most trusted in Real estate. Move on up to your DREAM HOME! Owners Have Bought, Must Sell! Don't Wait This Will GO!! The Vendor is Ready To Quit! Is It Location You Seek? Need Space To Spread Out? Best Buy In Maunu !!! Be Quick or You'll Miss Out! Divorced - Must Sell Now!!! Wow - Huge Potential Here!!! Value for Money - Buy Me Now! Hidden Jewel in The Regent! Light, Bright, Sunny And Warm! Motivated Vendors - Buy Now! Fun In The Sun - Decked Out!!! Picture me on the flip side! Resort Style Living or Invest. Best Address, Move In Now! Absolute Bargin Make an Offer! Cheap as chips in MAUNU! Time To Ditch The City Life! Clear instructions - SELL !!!! Vendor wants - OUT ! !